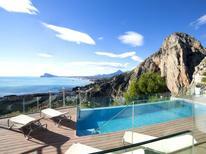 A holiday house in Spain costs on average GBP 980 in the cheap travel period and GBP 1,672 in the peak season per week. These details are of course in relation to the house and not per person as well as includes the obligatory additional charges. Baedeker smart recommends atraveo: Spain 2015, page 41. 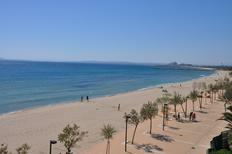 Every year thousands of vacationers return back from Spain tanned, relaxed and invigorated by the Spanish temperament. The Iberian Peninsula is one of Europe’s most popular tourist destinations and by no means an insider tip. The varied landscape is reflected in the wide offer of holiday domiciles. With more than 300 sunny days each year life in Andalusia tends to be quite pleasant and warm. Therefore it is not surprising that visitors to Andalusia have one destination in mind: The bays and beaches of Costa del Sol and Costa de la Luz. Places such as Torremolinos, Benalmádena, Fuengirola or Estepona are lined along the coast and are renowned as being popular with tourists. Nowhere else on the Spanish mainland does one find such a diverse and lush vegetation. Particularly the coastal strip surprises with its unexpected plant diversity and flowerage even in the dry summer months which Spain regularly experiences. 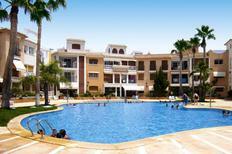 In Spain atraveo offers a selection of more than 20,000 holiday homes and apartments. Many of those holiday houses are so-called fincas which is usually an old farmhouse or a country estate with a restored country house. Fincas can be found all over Spain, on the Balearic Islands, along the Mediterranean coast as well as on the Canary Islands. Usually they offer various amenities like a swimming pool and other wellness facilities such as sauna and whirlpool. 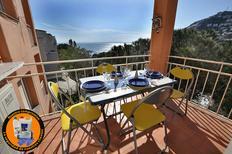 Most of the fincas offer enough space for larger parties and are ideal for families and groups. 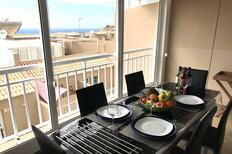 But of course atraveo also offers other types of holiday apartments and houses in Spain. 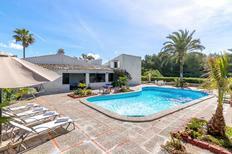 The range of offers includes secluded holiday houses which are ideal for hiking holidays in the Pyrenees or in the green Spanish north, basic holiday apartments at the hotspots of Spain’s coasts which are the ideal alternative to a hotel as well as luxurious villas at the jet set coast Costa del Sol. Spain holiday makers naturally appreciate the summer vacations along Spain’s coasts as well as on the Balearic and Canary Islands. Great beaches, ideal water temperatures and diverse entertainment provide for perfect holiday conditions during summer. However the regions also lure with great offers during the off-peak seasons. Even in winter the climate of most coastal areas is dominated by mild temperatures and those seeking tranquillity and recreation are anyway better booking a holiday home outside the tourist centres or during the off season. This is the period where one can fin empty beaches in coastal areas and enjoy sun, beach and sea all for oneself. An insider tip in this context is the Costa Verde in the north of Spain with heavenly beaches and beautiful nature which is almost untouched by mass tourism. can be discovered as well. Spain has recently started to distinguish itself more and more as a destination for skiing holidays. The snowy slopes and hillsides of the Pyrenees and the Sierra Nevada guarantee enjoyment and the prices in these “exotic” skiing destinations are usually more moderate than those in Alpine skiing areas such as Germany, Austria, Switzerland or Italy. Those who look for warm temperatures all through the year should enjoy the never-ending spring on the Canary Islands. Gran Canaria, Tenerife, Lanzarote, Fuerteventura, La Gomera, El Hierro and La Palma promise warm temperatures and ideal options for vacations at the seaside due to their relative proximity to the Equator. There are many ways to get to your finca in Spain. The probably most convenient way is to travel by plane. International airports which are serviced with regular and chartered flights are usually located in the proximity of major holiday resorts both on the mainland and the islands. Possibly it might be necessary or convenient to rent a car – depending on the location of your holiday home. You can also travel by car or train – at least if your travel destination is situated on the Spanish mainland. Although there are regular ferries servicing the islands (e.g. from Barcelona or Valencia to Majorca) the crossing extends the journey time considerably. 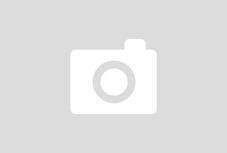 When travelling by car you should plan in at least one overnight stay. The most common routes lead through France and then along the foothills of the Pyrenees to Catalonia with its Costa Brava and the colourful metropolis Barcelona.